Get started with the free moderation tool and scale with our customized AI. Eliminating fraud is a must, yet all successful marketplaces know it’s not enough. Success is built on three pillars – trust, content quality and user experience. That´s why we manage a broad range of content challenges. 2% of all user generated content is fraudulent. Protect your users against romance scams, pyramid schemes or “too good to be true” offers. 75% of users encounter duplicate content when browsing online marketplaces. Improve user experience and onsite SEO with de-duplation tech. 100% of users state that image quality is the main reason for preferring one site over another. Remove stock photos, blurry images, and other low-quality pictures. Keep your site family-friendly by rejecting inappropriate pictures and preventing unsolicited offers before they go live. 13% of people have stopped using an online service after observing harassment of others. Stop both targeted harassment, hate speech and social bullying. Counterfeits are consistently one of the top 3 items we reject. Improve user experience and avoid lawsuits by removing fake products from your site. Comply with ever more stringent government regulations by removing illegal items like drugs, weapons or culturally sensitive content. 73% would not return to a site where they encountered irrelevant items. Increase conversion and reduce churn by ensuring correct categorization. To handle the complex nature of user generated content you need a multi-pronged content moderation strategy. Your marketplace is unique, so are your needs. Customize implio based on your specific requirements. Edit prebuilt filters, enable text and image vision, choose from multiple moderation interfaces. Or simply let our data scientists build a personalized AI model for you. The Implio API is built on a RESTful architecture which allows easy integration. 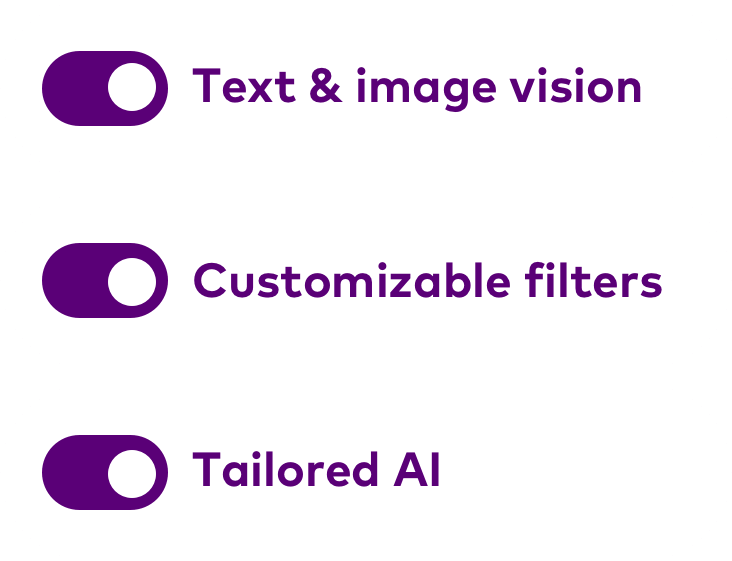 Customizable filters, tailored AI and text&image vision moderate your data. Depending on automation findings, data is either sent for manual moderation or directly back through the API with a decision. Data is sent back through the API with a clear decision to either refuse or accept. Understand your content and inventory challenges better with approved vs. refused ratios and rule match tests. Visual representation of your volume flow makes it easy to staff and plan better. Start moderating your content today by creating a free Implio account. “This has helped us build a high level trust with our users, a vital component to our growth and continued leadership within the market. Online marketplace research, insights, and industry trends. You find it all here in our resource hub. We all know that each individual marketplace is unique and comes with its own set of requirements and challenges. However, from our 17 years of experience, we've also found that some challenges are universal for most online marketplaces. The vast majority of marketplaces struggle with or wants to increase monetization, acquisition, conversion, and retention and often these challenges are closely tied to the user experience.